Upper Back Exercise to Improve Posture! I have been lifting weights and doing upper back exercise for many years and never saw any noticeable changes to my body until I started doing Pilates exercises. The most recognizable changes were how my posture improved immensely. I carried my chest high and shoulders down with no tension in the neck and upper back muscles. Pilates exercises work the muscles of the upper back by both stretching and strengthening them simultaneously. When doing upper back exercises to improve your posture it is important to understand that you need to strengthen your core or abdominal muscles at the same time you are working the upper back. Outlined below are some of the Pilates posture exercises that have worked best for myself and my clients in improving our posture and upper back strength. 1. Sitting on a mat with your legs extended and back straight (bend knees if hamstrings are tight) wrap an exercise band around your feet and hold the ends in each hand. 2. Exhale as you pull your hands to your waist keeping palms facing your sides and elbows reaching straight back. 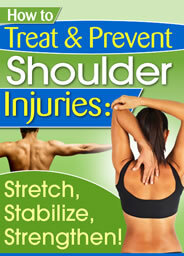 Feel your shoulder blades draw together in your back but do not pinch them. Repeat the Lat Rows 10-15 times staying tall and keeping your abdominal muscles active and working to hold your spine upright. See more exercises using the stretch band for pulling here. 1. Standing with your legs hip width apart and leaning into a wall with your head, upper back (ribcage) and sacrum resting against the wall. 2. Walk your feet out away from the wall about one foot and bend your knees slightly. Bring your hands and elbows flat against the wall if you are able. 3. Inhale as you slide the elbows and hands slightly up above the shoulders and then exhale as you actively pull them down. Imagine pulling your elbows down like you are going to put them in your back pockets. 4. Feel your scapula slide up and down the wall drawing your shoulder blades together as you slide down and then they move apart as you go up. Repeat 10-15 times. The Pilates and posture exercises outlined are those that have helped to not only improve my own posture and upper back strength, but also for many of my students. To see pictures of these exercises and loads of other shoulder exercises check out the newly revised shoulder ebook available here. 1. Lying face down on a mat with your hands outside of your shoulders palms face down and legs long and extended. 2. Draw your abs and ribs up and in as you lift your upper back, head, and chest only keeping your feet anchored to mat. 3. Raise your elbows higher keeping fingertips on shoulders. Keep your nose pointed down at the floor for best neck alignment. Repeat for 5-10 times only holding for a few seconds before lowering. Try to increase repetitions rather than holding longer. When you are finished with the above exercises wrap your arms tightly around your upper back giving yourself a big hug for a great upper back stretch to really loosen and elongate the muscles. Find more free information on the best upper back exercise and more using Pilates here.